I happened to read Maggie’s recent post on getting married. It made me smile a lot. Because almost everything that she had written resonated with my feelings at the time of my own marriage. What twenty something undergo at the brink of marriage, is a question nothing short of answers found in disaster management. I was twenty four when my husband, then boyfriend, dropped the big ol’ ‘M’ word. I freaked out, would be an understatement to describe what I went through. But as fate would have it, I was married in just a little over six months of this time. Do I regret it? In plain simple words, no. Never. In fact almost everyday I wonder how by sheer accident and element of compromise I made the best decision of my life. Already the idea of living with someone in close quarters who is not blood related is unnatural in my opinion 🙂 But marriage is of course not a natural progression of time, it is only a way of life. Companionship. To aid this emotion, individuality comes a close second to togetherness. Sharing a life needs common goals and ways of thinking. Marrying early encourages couples to associate with each other’s mental and emotional evolution. And in the end they conclude themselves to be only subsets of each other. Rush to bring stability to life, takes a back seat. Since marriage itself screams a huge milestone, other roadblocks can take time. Which in turn helps one gain better perspective of other things in life. Marrying late often puts pressure on people to accelerate the consequent timelines. They say two is better than one and three is better than four and so on. Marriage results in a legally bonded, emotionally involved and close quartered team of two. I have for one seen that me and my husband have started to perform better on our targets with the help of each other’s motivation and support. A lot of things we had always kept on our bucket list have now been happily striked. I know that all these three reasons are a living example in my own marriage. Of course one can argue both sides and turn a lot of points against these points too. And so I ask you today, what would you say is the ideal time to get married? You both look so good together, Richa! I don’t think there is any ideal time. The point is actually having a good marriage, if you marry early and have a bad marriage then it is of no good and if you marry late and have a happy marriage then it is great. I think it is very subjective and depend upon what suits the people involved in the union. Initially I too believed same, somehow my own experience and a few others have led me to conclude a few points.. Whenever you are ready is the right time. And it’s different for everyone. I’m the late marrying variety and it’s worked out perfectly for me because I got time to stay on my own and work. That was so much fun I wouldn’t have missed it for anything. That is one side of the subject I agree! Hey Richa…As all the points are right said, I have also felt the same after I got married only last year…@ 28..
As Nisha said, when we get married at late 20s or after that we will be HAVING TOO MANY responsibilities and TIGHT schedule to plan anything and everything as if there are only those things for us in the MARRIED life…focussing only on things that ARE RELEVANT to others…and no or very less things for us(girls)….. So getting married early is a GOOD option than delaying it…. Yes as Nisha and you both agree, body clocks run high when we get married late! Yes it is true. A highly perspective oriented decision.. Excellent points! I am twenty-three, and will be getting married in less than a year. I am looking forward to it, and love reading articles such as this. Thanks! I guess it depends on the individual. I would never trade my single life and the carefree times I led for anything. Being married means more responsibility and expectations from in-laws etc. That is also there. Responsibilities and expectations from all quarters do increase..
You guys look absolutely good together 🙂 and I am glad marrying early worked for you. Like Naba mentioned, if you meet the right person it will mostly work well. But at the end of the day I firmly believe that one should tie the knot (even if they are in a relationship) only when they are mentally prepared to take on the commitment and responsibilities that the institution of marriage brings along. If you are not prepared for it and you take the plunge it might not work as well…. That is true Seeta.. but the intention to be in that phase does help. Sometimes setting things in motion is the trick.. I agree with a lot of the points made here , even in the comments section – as Seeta said… in the end, it should be about finding the right person who completes you too. Madhavi and Nisha’s point about the drawbacks of delaying too ring true. I would have to say, a balance of around 25- 27… by then , u’ve seen the world, u have a better idea of your priorities both in life as well as in what u want in ur partner..
Yeah 25-27 is a nice range to get hitched. It is a wise post, yes it does help but I married at 26 and was fine by that too, I think it depends on how you perceive your time. 30’s is the new 20’s and soon that too shall change. Well, your arguments sound good. 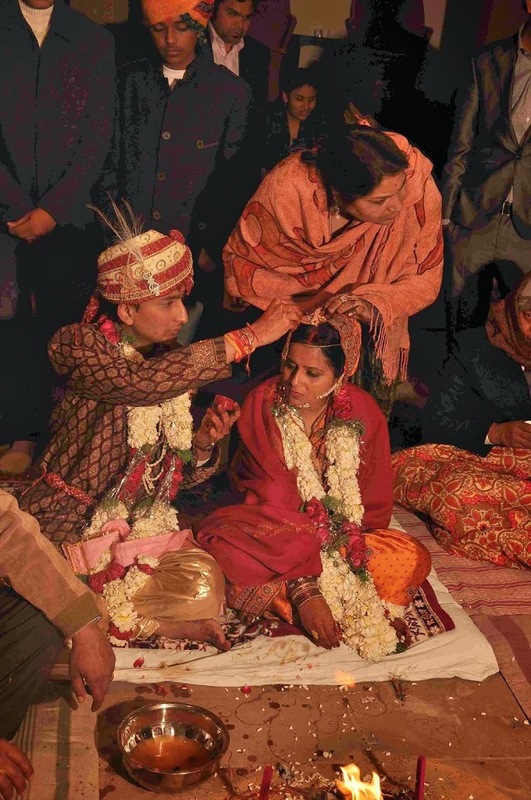 Perhaps, early marriages can be good socially too: the old wisdom that marriage makes people (more) responsible. Nice point. Marriage also assists in getting perspective on life..
Thatsa beautiful photograph. I feel that depends from person to person. Whenever you find the right person to get married to is the right time. Lot of my friends and cousins crib about getting married at 23 or 24! My mom is glad she got married at 31 after living her life to the fullest, realizing her ambitions and hobbies! Even I hv no complaints yet. I’m nodding…I’m nodding and yes I agree! I got married at 25 which I then thought was way to early. But the growth, love, bond, responsibilities and everything that comes with the package, that we share as we mature is so much more stronger no?